Unique Collectible Russian book by N.Krestovkaya. 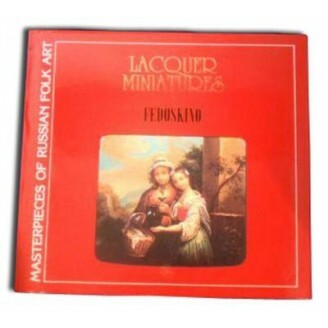 Lacquered Miniatures Fedoskino. Masterpieces of Russian Folk Art. Published by Interbook in Moscow In Englishin 1995. 144 pages & 224 illustrations. 10"x10". 200 years of Fedoiskino history. A must for lacquer box collectors. The book features original designs of such famous artits as Rogatov Family, Zotov, O. Shapkin, S. Kozlov, etc. This book is out of print, buy it while supplies last! Extract from the book Lacquer Miniatures, Fedoskino by Nadezhda Krestovskaya. The Village of Fedoskino, located 38 km. north of Moscow, on the banks of the Ucha River, is Russia's oldest center of lacquer miniature painting. Many of the inhabitants of this village are connected with this craft. The secrets of making and painting papier-mache lacquers have been passed from generation to generation for more than 200 years. The fashion of snuffing became so popular by the end of the 18th century that the demand for inexpensive snuff boxes began to rise and papier-mache proved to be the perfect material. A host of small factories were engaged in making snuff boxes at this time. Some of the most notable and famous were the factories of Petr Korobov and the Vishnyakov brothers. The first trademarks appeared on the factory products under Petr Lukutin, who inherited the factory in 1824. He was Korobov's son-in-law. From that time until it closed in 1904, the Lukutin family owned the factory. Professional miniature painting flourished in Russia in the late 18th and early 19th centuries. From 1828 Petr Lukutin exhibited his products at the industrial and handicraft fairs in Russia and abroad, invariably winning public acclaim and many high awards. Under Lukutin's son Alexander who began to work in 1843, the factory began to flourish. By the early 1850's twelve lacquer workshops were in operation in Zhostovo and nearby villages. The Vishnyakov workshop being a chief rival. Vishnyakov masters were especially renowned for their winter landscapes painted on black surface dusted with metal powder. These landscapes formed the background to most of Vishnyakov's troikas. The history of these two outstanding lacquer miniature workshops were closely intertwined throughout the 19th century. They competed with each other, exchanging craftsmen and production techniques. 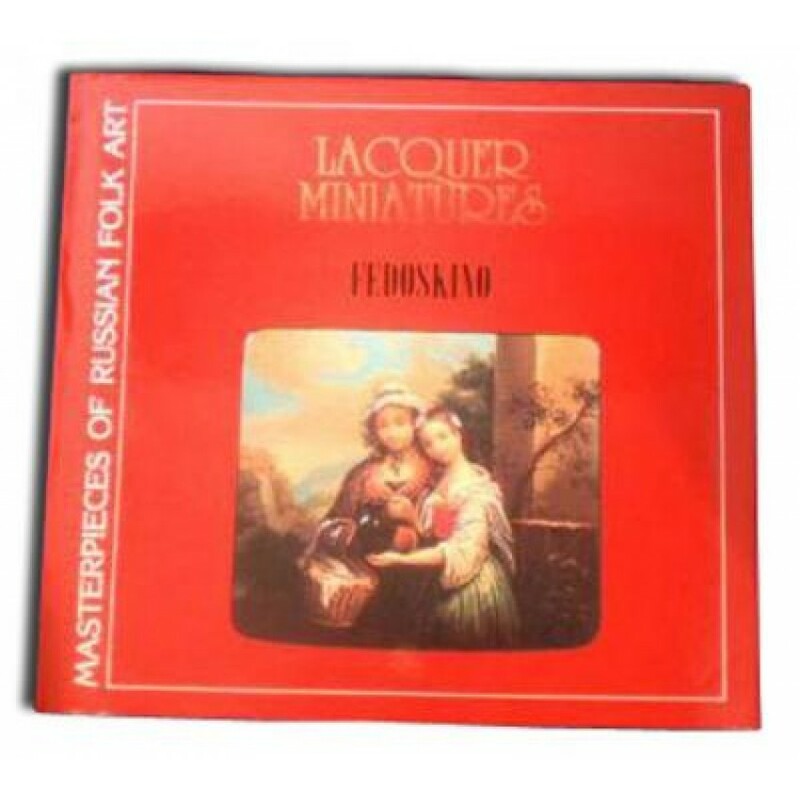 Lacquer miniatures of the Fedoskino region were made with the help of multi-layer oil painting on the primed papier-mache surface with special lining. Mother-of-pearl, gold leaf, silver foil and metal powder were broadly used. Painting in translucent layers of paint over various priming and lining was locally referred to as "see-through" as distinct from ordinary thick painting as "body". It is important to note that combining the techniques of "see-through" and "body" has remained unchanged to the present time. Other decorative techniques have also survived. In 1904 the Lukutin factory was closed. Some miniature painters transferred to the Vishnyakov workshop, but many unhappy with the tough working conditions there, formed the Fedoskino Artel in 1910. The years of the revolution and the subsequent Civil War took a heavy toll on the craftsmen and artists of Fedoskino and the workshops often stood idle as a result of raw material shortages and little demand for finished goods. This situation changed noticeably in 1923, when the All-Union Exhibition of Agricultural, Industrial and Cultural Products was held in Moscow, where Fedoskino wares were awarded the first degree diploma "for preserving the craft and high cooperation". The Artel's products were exported abroad to international exhibitions where they were awarded the Paris Exhibition diploma in 1925, and the Milan Exhibition diploma in 1927. In 1928, a group of very gifted painters from among the Vishnyakov miniaturists joined the Fedoskino artel. Their skill especially in making landscapes, greatly enriched the Fedoskino craft. In 1931 a miniature painting vocational school was opened which has passed these skills unto younger generations. In the 1940's and 1950's the artel focused primarily on copying the works of renowned Russian artists. However since few easel paintings could be adapted to the laws of miniature painting, the more creative artists came up with their own compositions. For example, the work of Y.V. Karapayev marked a fundamentally new stage in development of landscape painting. This genre flourished in the 1980's and is now going strong in the works of S.I. Kozlov, G.I. Larishev, G.V. Skripunov, Y.L. Dubovikov, Y.S. Shishkin, among others. 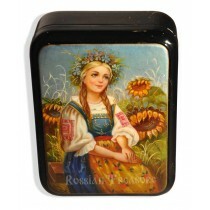 In the 1960's through the 1980's, the Fedoskino factory put out many boxes mostly with Russian style salon scenes. Another group made caskets and panels of multi-figure compositions, which were often intended as rich and prestigious gifts. State orders allowed the painters to worry little about marketing problems thereby doing little to enhance creative quests. Serious changes occurred in the ideology of Russian society in the late 1980's. Restrictions, which formally curbed creative freedom and prevented artists from self-expression, were lifted. Interest surged in the world in the Russian cultural heritage and especially the decorative and applied arts, giving rise to a new market for unique and expensive artifacts. Fedoskino lacquer miniatures are once again treated as genuine works of art in which shape, color scheme and decor are on an even par with painting. Despite their delicacy and seeming fragility, papier-mache products are very durable and functional. Today many Fedoskino artists experiment with form and style. The Fedoskino art school stores a collection of 19th Century lacquer miniatures as well as diploma works from its graduates from the 1930's onwards. Opposite the present day factory still stands the old building of the former Lukutin workshops, where the great-grandfathers turned out exquisite papier-mache lacquer miniatures.